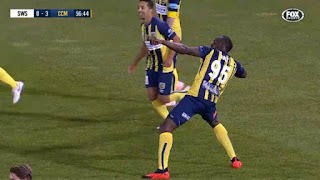 The 32-year old had numerous trials with professional clubs, with the latest being the Central Coast Mariners of Australia’s A-League. Bolt appeared in friendlies for the club and scored a brace in one of the matches in October. However the two sides could not agree on remuneration or the commercial backing to finance any deal with the former sprint star. Both parties subsequently agreed to part ways. He also turned down a contract with Maltese side Valletta in October, and has now ended his dreams to be a professional footballer. “I don’t want to say it wasn’t dealt with properly, but I think we went about it, not the way we should and you learn your lesson, you live and you learn,” the multiple Olympic gold medallist said.